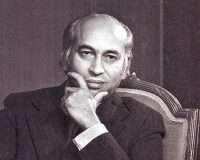 Zulfikar Ali Bhutto, founder of Pakistan People’s Party (PPP), served as president of Pakistan in the 1970s. By 1977, opposition against Bhutto and the PPP had grown due to incidents of repression, corruption, and alleged election fraud. 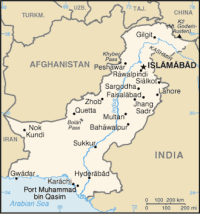 Violence escalated across Pakistan, and Bhutto was overthrown by his army chief, General Zia-ul-Haq. Bhutto was put on trial for authorizing the murder of a political opponent, and executed on April 4, 1979. 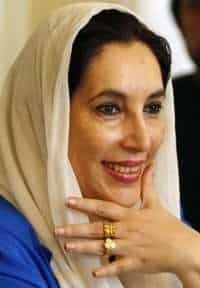 However, his party remains Pakistan’s largest national political party, and his daughter, Benazir Bhutto, served as Prime Minister before her assassination in a 2007 bombing. Benazir’s husband, Asif Ali Zardari, served as President from 2008-13. Peter Constable was the Deputy Chief of Mission in Islamabad from 1976 to 1979. In these excerpts from his oral history, Constable discusses the events leading up to the coup that deposed Bhutto, as well as the United States’ involvement. He was interviewed by Charles Stuart Kennedy beginning January 1990. You can also read about the 1965 Indo-Pakistani War and the 1998 nuclear tests. Read about how President Zia and U.S. Ambassador Arne Raphel died in a plane crash. Go here to read other Moments on South Central Asia. CONSTABLE: In the spring of 1977, Bhutto fairly quickly found that trying to shove his difficulties off on the United States, in an effort to create some sort of groundswell of support based on nationalism and anti-Americanism, really wasn’t taking him anywhere. The opposition was not cowed by this effort. In fact, there was no great anti-American rallying in the country. So Bhutto began to back off from this and look for ways to reach some kind of an accommodation with us. But his difficulties in the streets continued and even got worse. The Saudis became very active in trying to mediate some sort of a compromise between Bhutto and his political opponents. For a while it looked as if they might be successful. It was very clear that Bhutto was going to have to give something very substantial, like new elections monitored in some way. The surprising development, I guess, was the fact that in the middle of this mediation effort by the Saudis, Zia made his move and overthrew Bhutto. 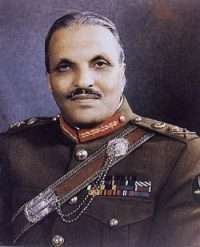 Zia was the Chief of Staff of the Army, who had been hand-picked by Bhutto presumably because he would be dependent on Bhutto, was not senior enough in the military, did not have that prestige to run the military as an independent entity. And Bhutto thought that he would be dependent on him, that indeed Zia did seem to be for some period. But pressures within the military were growing to do something. The thing that the military has always hated in Pakistan is to be used as a force for the maintenance of civil order and turn their guns on the population. And it was that feeling that impelled Zia to strike. It would have been more understandable if he had made his move after a collapse of the Saudi mediation effort, but he moved in the middle of it, for reasons which are not entirely clear. In one of those things that happens, a series of coincidences, Ambassador Hummel had just arrived in Pakistan and had presented his credentials to President Chowdri. As part of his desire to cool things down with the United States, Bhutto had indicated that he wanted to come to our Fourth of July party. So an effort had to be made to arrange an opportunity for Hummel to call on Bhutto. Because Bhutto was caught up in this very elaborate and intense political negotiation, it was hard to schedule an appointment. Q: I might point out, for those not aware of diplomatic niceties, the Ambassador has to call on the Prime Minister pretty much before the Prime Minister can come calling the other way around. CONSTABLE: Exactly. It’s a protocolary point, but an important one in relations between states. In any event, Bhutto’s aide kept assuring Hummel that, yes, Bhutto wanted to see him, and to stand by. Well, we were into July 3rd, and then into the night of July 3rd, and the reception was at midday on the 4th. Finally, in the wee hours of the Fourth of July, about 12:30 in the morning, or one o’clock, Hummel got his call to come and see Bhutto. So he duly trotted over there. And the next day, Bhutto showed up at the midday Fourth of July party. And, in fact, everybody was there who counted in Pakistan. The opposition political leaders were there. General Zia was there. The President of the country was there. I only mention this because it was that very night, about eleven o’clock or midnight, that Zia made his move and overthrew Bhutto. 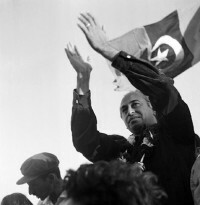 Overthrow of Bhutto: A Welcome Coup? I’m sure that there are many people in Pakistan who believe to this day that somehow that peculiar chain of events, of Hummel going to see Bhutto at one o’clock in the morning, Bhutto showing up at the embassy at noon and being overthrown that night, was something engineered by the United States. Q: Were you concerned about anybody within our embassy community meddling around encouraging the military? CONSTABLE: No, not at all, not at all. We wanted to see some kind of peaceful solution of this. The mediation effort that the Saudis were undertaking looked promising at that moment, and we thought it stood a reasonable chance of success. We were standing our distance from this. We were not seeking to involve ourselves as a mediator. We were concerned by what was going on in Pakistan, because there was a tremendous stand-off and disruption in Pakistan as the result of the aftermath of the elections and this opposition in the streets to Bhutto. But, I think as I said in the last interview, our relations with Bhutto had been very good up to the point of the elections. We had one major disagreement with him, and it was an important one, over Pakistan’s nuclear policy. It’s an issue which remains to this day. But, otherwise, we thought Bhutto had been a force for stability and had done well. We didn’t think his record was terribly spectacular on the economic side. But we also understood that in his second administration he intended to change his policies in a more market-oriented way, which we thought would be good for the country. So we had no policy differences with Bhutto, with Pakistan, except over the nuclear issue. And we did not think that anybody else was going to be any easier to deal with. I think events have proved us right. Zia was not easier to deal with on the nuclear issue. One always stands back and tries to assess whether a coup is going to be effective, and whether the people who have made the coup can establish order and establish themselves in power. So one tends to avoid taking any steps which sanction the coup…. As it turned out in Pakistan, the coup seemed to be welcomed. The opposition that had been badgering Bhutto in the streets certainly welcomed it, and Bhutto’s own party seemed quite passive. They did not take to the streets and resist the effects of this. The actual coup was bloodless and in the middle of the night. Some soldiers marched into Bhutto’s quarters, woke him up and informed him that he was under arrest. There was apparently no resistance from presidential guards or anything of the sort. So we did not learn of the coup until the following morning when we woke up and people turned on their radios and martial music was playing. There was suspension of the normal programming. I drove in to the embassy at about eight o’clock, the usual hour, and the Political Officer, Arnie Raphel, who was subsequently ambassador in Pakistan and was killed there in the plane crash with Zia a year and a half ago, was waiting for me in front of the embassy. He said, “There was a coup last night.” I was astonished. The timing of it, as I said earlier, was totally unexpected. So the first thing that an embassy does in a situation like that is try to gather as much information, report back to Washington, so that Washington is not any more surprised, anyway, than the embassy was. And then try to assess what we think the prospects are for such a government, what they might do and what the impact of this would be on U.S.-Pakistan relations….Obviously, the things that Washington wanted to know were: what kind of a government is this likely to be? What kind of a person is Zia? Is he likely to be an effective leader? And, frankly, our assessment at the time was that Zia was a soldier and not likely to be very swift as a politician, and that he’d better figure out some way to turn power over to a civilian government, because he was unlikely to be able to handle the thing. Of course, we couldn’t have been more wrong. I think we were right initially. The moves that he made politically were very clumsy, but he learned fast. Within six months he had demonstrated that he really was in charge and knew what he was doing. He lasted for ten years, until his death in the airplane accident. 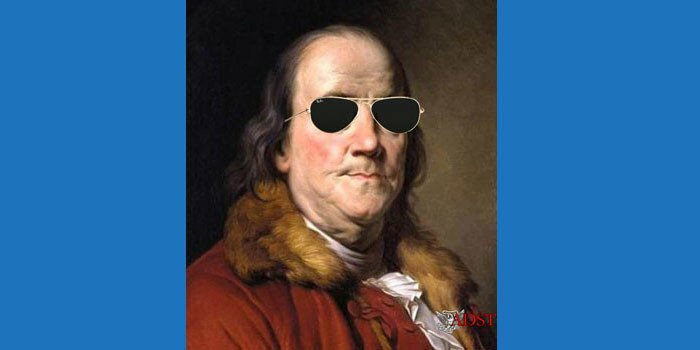 He proved to be a very shrewd and astute politician, and very adept about maneuvering his opponents. But, at the time, we thought that he had better get his act together and find some way to elections and get back out of there within two or three months. And, in fact, that’s what he wanted to do initially. But it proved, from his perspective, not possible. He arrested Bhutto; within a month he let Bhutto out. And he talked about having elections in September or October. This was early July when he was overthrown, and he talked about being back out of office in three months. His calculation was that Bhutto would be so discredited by revelations the government then started putting out about Bhutto’s misdeeds that the country could have elections and Bhutto would lose. Well, that was a miscalculation, because the Bhutto phenomenon was not over at all. He remained an extremely popular political figure. When he was released from prison he immediately started organizing massive political demonstrations. And they were huge. There were just enormous turnouts as he went to Lahore and to Karachi. These terrified the government, so they had to figure out something else. It became a pparent if there were early elections that Bhutto would win. And that would be intolerable for the Army that had just thrown him out. They had made a serious miscalculation on what the effect of Bhutto’s arrest would be on the people’s party, on his support. The kind of thing that we were saying to the government was, yes, you need to go to elections, because we didn’t think that Zia could handle this politically. And we also felt that Pakistan needed to have democratic institutions, that the only way ultimately that Pakistan could develop political stability was through the exercise of a more democratic system. But Zia backed off and postponed elections. He continuously promised elections, but they began to recede into a more distant future until he figured out another plan. He then did, subsequently, have elections. He had some non-party elections. All of this was after I had left Pakistan. After this scare for Zia, when he let Bhutto out and it became apparent that Bhutto was still a highly popular figure, it was then that Zia and his advisors developed the strategy of trying Bhutto for his misdeeds, and then ultimately having him sentenced to death and hanging him. Q: He was hanged on April 4, 1979. What role were we playing, as you saw it at the time, on these developments? Those impacts of attention to human rights, greater interest in India, were truer of the period up to Bhutto’s overthrow, or maybe a few months before that. I think some of that began to give way to a slightly more realpolitik view as the Carter Administration found the world more complicated perhaps than it had initially thought. The Administration was hearing from the Shah that he was interested in stability in Pakistan. And, as every Administration finds, you can’t quite play the game with India that people like to think you can. Here’s the world’s largest democracy. We ought to have so much in common, why can’t we make common cause and be really close friends? Well, the Indians had their special relationship with the Soviets, their own hostilities to the Chinese, their difficulties with Pakistan, and considerable animosity against the United States. So they were never a player that we could quite bring into play the way some people tended to think. It just never worked out. So one’s attention was turned back, sometimes, to Pakistan, even though one didn’t quite start out there. Then, I believe it was in ’78, there was the coup in Afghanistan by Communists. That caused great concern in Pakistan, and in Iran, and in Washington. So there was a change. Now we didn’t give up on certain basic premises. We continued to believe that ultimately Pakistan had to get back to democratic processes. But the way in which we dealt with that in Pakistan may have undergone some subtle shift…. That was certainly very much the way events were seen in Pakistan by Pakistanis. They were extremely concerned about this. They had counted, for decades, on, if not an alliance with the U.S., U.S. benevolence and influence to hold back Soviet influence in South Asia and a Soviet thrust toward the Indian Ocean. So they were deeply concerned about the direction of American foreign policy, and then really quite panicked when the coup occurred in Afghanistan. Just by chance when that happened, Art Hummel was away in Washington and I was again Chargé. I was called in by either the Foreign Minister or the Foreign Secretary (I can’t remember what he was then) Foreign Minister Agha Shahi, I think, and asked what this coup meant to the United States, and what it meant in terms of U.S.-Pakistan relations. What he was looking for was our interpretation of this coup in light of the 1959 bilateral agreement with Pakistan, the U.S.-Pakistani bilateral agreement. I was able to get back to him after consulting with Washington and tell him, the very next day, that we viewed events in Afghanistan with great concern. And that any threat to Pakistan by a Communist-dominated or a Communist-controlled power would trigger a response from the U.S. under the 1959 bilateral agreement, which did not specify what kind of action we would take. It didn’t say that we would send in troops or anything of that sort, but the implication was that we would, in some way, assist Pakistan militarily, either with military equipment… And we would certainly use our influence to protect Pakistan against a Communist threat. They found that vastly reassuring…. It affected, obviously, the way we dealt with the Zia regime, too. Certainly, from the moment of a Communist coup in Afghanistan, we were not going to beat Zia around the ears to the point that his government collapsed. We were, from that point on at least, really interested in stability in Pakistan. Now we continued to believe that the long-range stability in that country depended on the development of democratic institutions. But we were not prepared to say to Zia, “You’ve got to step aside tomorrow and get on with elections,” because we appreciated the political dilemma that existed in Pakistan, the deep divisions between the PPP and the rest of the body politic….We were observing and reporting. We were not taking any kind of a policy position on this, other than letting the Pakistan government know, letting Zia know, that we thought he needed to find a way to get on to an election process and get the Army back in the barracks and out of power. As I say, the urgency with which that message was delivered shifted over time as other things happened in the region. More difficult for us, or more painful I think for everyone, was what was going to happen to Bhutto once Zia embarked on this process of a trial, a public trial, and then condemned him to death. The logic of it always seemed to me that, yes, he had to put him to death, that the way Zia had constructed his own position, there was no way out. There was a Punjabi saying: “Two men and one grave.” One or the other had to go in it. Even as we urged him, after Bhutto was sentenced to death, to pardon him, or to put him in exile, or in some way to spare him, I personally felt that the logic of it was that Zia could not do that. Bhutto, out of the country, would have been forever a threat to Zia’s regime. Bhutto, in jail in the country, would have been a similar threat. Zia built a political construct in which Bhutto had to be eliminated, which was unfortunate. We made several representations to Zia and the Pakistani government urging that Bhutto’s life be spared. We did not have a formula to sort out the political problems in Pakistan. But we made it very clear to Zia that we thought it was a mistake, that also on human rights grounds, we thought he ought to be spared, although we had to be very careful about this, since we have capital punishment in our own country. So the element of opposing this as a human rights issue was rather muted. We put it in humanitarian terms rather than human rights, and in political terms, that we thought it was a mistake for this to happen. This kind of thing had never been done in Pakistan. Which it seemed to me was an object lesson, in the other direction, for Pakistan. But it was a dilemma, because, analytically, it was difficult to see how Pakistan would return to any kind of political stability while Bhutto was a factor. If he returned to power, either he would have to eliminate all his enemies or his enemies would be back in the street as they were just before his overthrow. So it was difficult to see just how the country got itself out of this dilemma. In a way, Zia did. He took a long time, and he moved very, very slowly through a series of steps towards limited democracy, non-party elections, and constituting an assembly that allowed for political expression and political debate. But still there was in effect a kind of martial law on top of it with Zia running things. Step by step, he moved towards a multi-party democracy. After he was killed, then they moved very rapidly and held elections. The Bhutto phenomenon, obviously, still exists in that his daughter is now the Prime Minister. But I think it has a different context to it now than it had ten years ago. People have changed and their views have changed. Benazir, while she has many of her father’s qualities and political abilities, is not her father. The country is not the same as it was ten years ago. It has moved on in important ways. So this kind of process may work now in that Pakistan may be able to go through a series of elections and develop some institutional stability that it has always lacked.